Playing string instruments like violins, cellos and banjos may not be your idea of a good time on a Saturday night, but they do make wonderful collectibles. String instruments that were manufactured prior to 1980 are considered “vintage” and if you are interested in creating a collection or adding to the one you already have, it’s a good idea to follow some proven tips. Naturally, finding a reputable seller is a great place to start if you want a quality vintage string instrument. Dealers or private sellers with a proven track record of selling authentic, quality instruments and being available if you ever have an issue, provide peace of mind when making a purchase like this. If you are buying the instrument online, you’ll need clear cut descriptions of what you are buying and several pictures of the instrument from a variety of angles. With today’s technology, a video wouldn’t even be out of the question. A reputable seller will be upfront with you about the terms of the sale, the history of the instrument and whether any parts have been repaired, reconditioned or replaced. Basically, the seller you want is one that’s just trying to make a fair transaction and not trying to sell you an instrument that isn’t worth the asking price. A variety of different factors will go into determining the price of your vintage string instrument. Some of these include the specific type of instrument, where it was made, who made it, the age of the instrument, who has played it and how it plays today. If it currently needs tuning or other maintenance, that will also affect the price. Like with most collectibles, previous sales of similar items will also be a factor when it comes to pricing your instrument. When buying a vintage violin, look for one without any cracks in the body, but don’t worry too much about a faded or imperfect finish, as it won’t affect the sound. 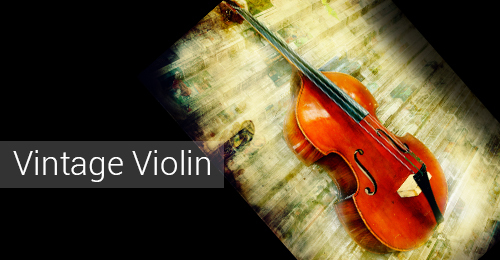 If the violin hasn’t been professionally tuned before you buy it, take it to an expert before attempting to play it. For a banjo, the string material may be an issue if the replacements are steel and not nylon, as very old banjos may not be strong enough to handle steel strings. If your banjo is made of wood, don’t refinish it unless the original finish is completely gone. Try not to replace any of the vintage hardware with modern versions or you’ll compromise the value. Vintage purchases of cellos, harps, ukuleles and mandolins will have similar considerations. Take the time to educate yourself before making the purchase, and especially before making any modifications after the purchase.